Originally from Valence (26) Hajare AKIRI was initially a dancer for A'corps Co. in 2009 (Artistic Director Karim Amghar), specialized in hip-hop and contemporary dance. She subsequently became assistant choreographer of the company and took part in projects such as "biennale de la danse" and "a documentary film made in New York on hip-hop". 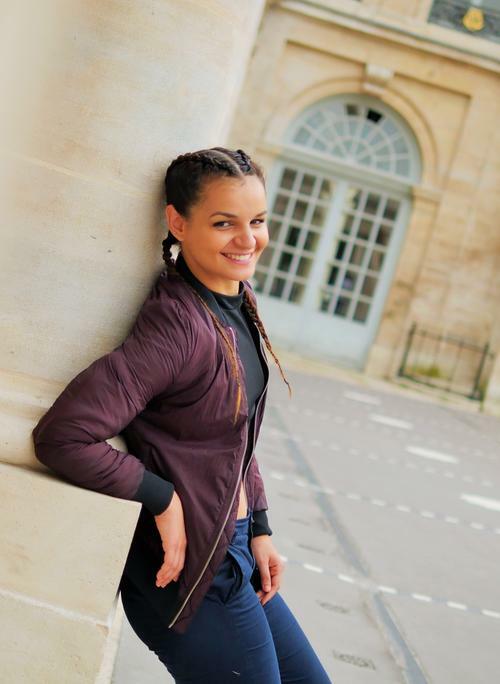 In 2012 she dances alongside Shurik'n, a member of the IAM national tour group, and then goes on to Paris in 2013 where she integrates vocational training and performs hip-hop dance and graduates from the "just Debout School" promotion in 2016. She will also follow a professional training of Oriental Dance with Rajaa Dussart and decides to create the concept "fusion Pop-Orient" to link the two disciplines.